We work at the intersection of food and community development to support organizations that expand opportunities and advance equity. Our goal is to build capacity in movements for more equitable, sustainable, and inclusive communities and economies. We work with institutions and mission-driven organizations focused on cultivating entrepreneurial ecosystems, community food systems, ethical cacao and chocolate supply chains, and affordable housing. Our work is increasingly focused on food business incubation as a strategy for community economic development. 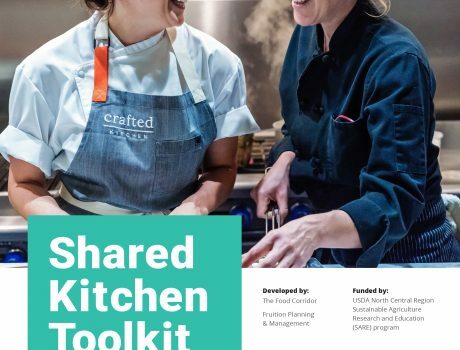 Learn about the free Shared Kitchen Toolkit we recently co-authored with The Food Corridor in partnership with Purdue University Extension. We strive to deliver the insight community leaders and social entrepreneurs need to move projects from idea to impact. Using an interdisciplinary perspective, we weave analysis into actionable plans that address evolving needs. Whether we’re working at the community or entity scale, we help clients vet possibilities, engage stakeholders, develop strategies, draft policies, improve management, and evaluate impact. As a small firm, we work closely with our clients to advance their goals in a personalized way. Our collaborative approach seeks to harvest collective knowledge and build upon the strengths of our client teams. We focus on consensus building, education and coaching in order to strengthen the ability of project teams to carry the work forward. We welcome the opportunity to provide support to organizations and networks of all sizes, including those still in formation. We believe collaborative approaches have the greatest impact and are happy to join project and consulting teams. Please check out our services and learn more about us. We recognize that some of the most promising, emerging projects are created by social entrepreneurs who lack the resources to hire a consultant. We actively seek opportunities to create accessible tools and resources to help good ideas flourish. We invite industry groups, researchers, and funders to reach out about potential research and capacity building projects. We are based in the Seattle area and currently focus on the West Coast, however, we gladly work remotely with clients and teams from around the country. We look forward to exploring the possibilities with you. 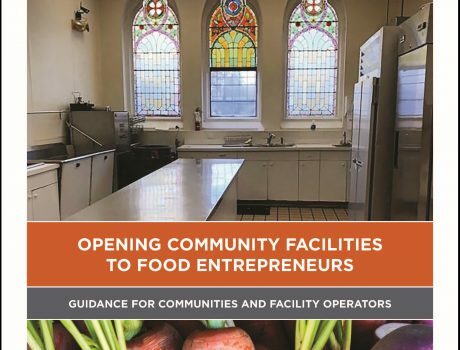 We recently teamed up with The Food Corridor and Purdue University Extension to publish the Shared Kitchen Toolkit: A Practical Guide to Planning, Launching and Managing a Shared-Use Commercial Kitchen. The PDF can be downloaded for free from http://www.thefoodcorridor.com/resources/. Links to numerous additional resources are provided in the Toolkit. U.S. Kitchen Incubators: An Industry Update by American Communities Trust provides a helpful overview of kitchen incubators in the United States. We work at the intersection of food and community development to support organizations that expand opportunities. Our goal is to build capacity in the movements for more equitable entrepreneurial ecosystems, sustainable food systems, and inclusive communities.